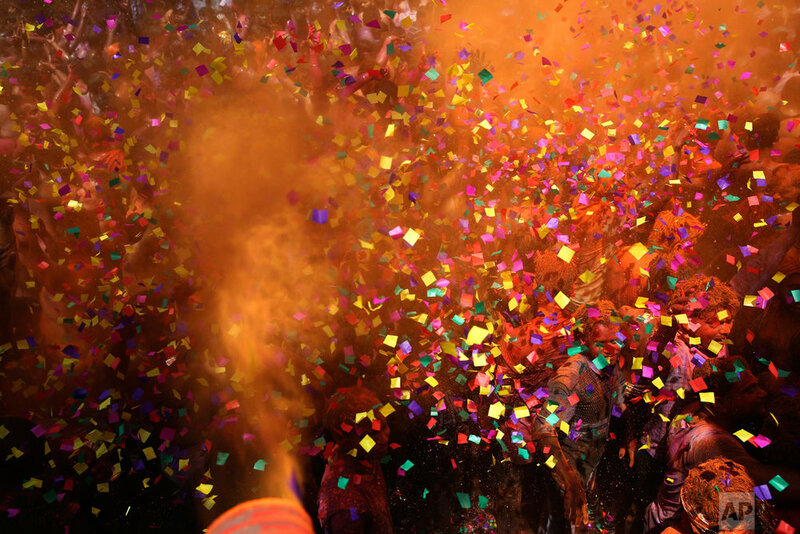 Friends and strangers warmly hug each other as they smear their faces with kaleidoscopic powders _ red and green, yellow and purple. Joyful children splash revelers with water balloons and spray colored water from squirt guns. There is dancing in the streets to the thunderous beat of drums. 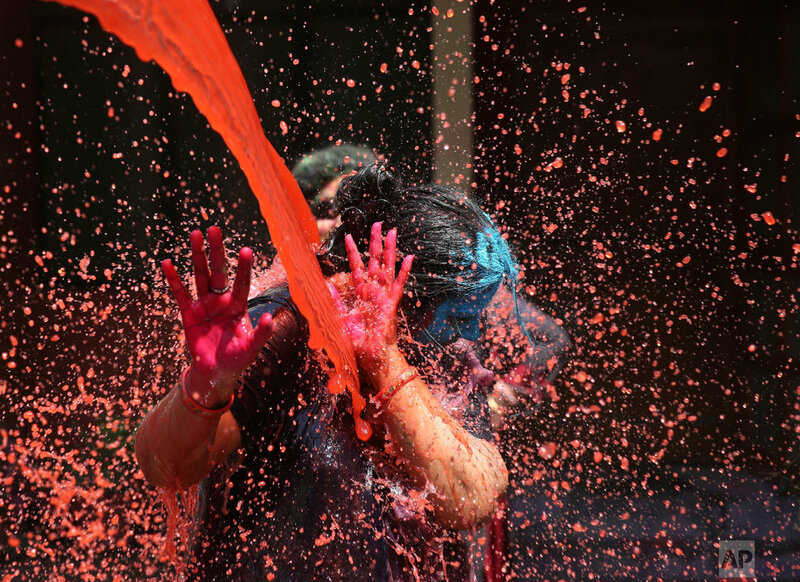 Holi, a major Hindu festival of colors in India, is a joyous and colorful celebration of the arrival of a spring harvest season, combined with a religious legend marking the victory of good over evil. 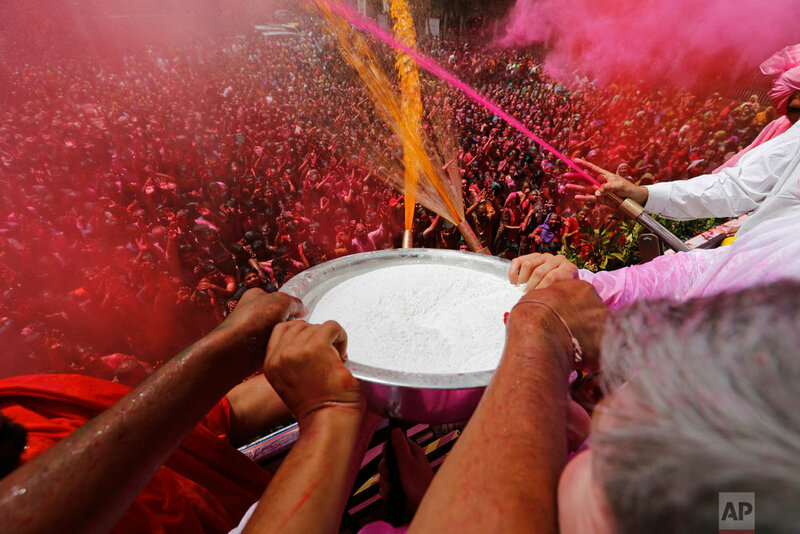 The celebration begins the night before Holi. Large bonfires are lit in what is known as "Holika Dahan" (burning of demon Holika) to mark the triumph of good. At daybreak, it's time for visits to the homes of relatives and friends to forget and forgive and repair broken relationships. 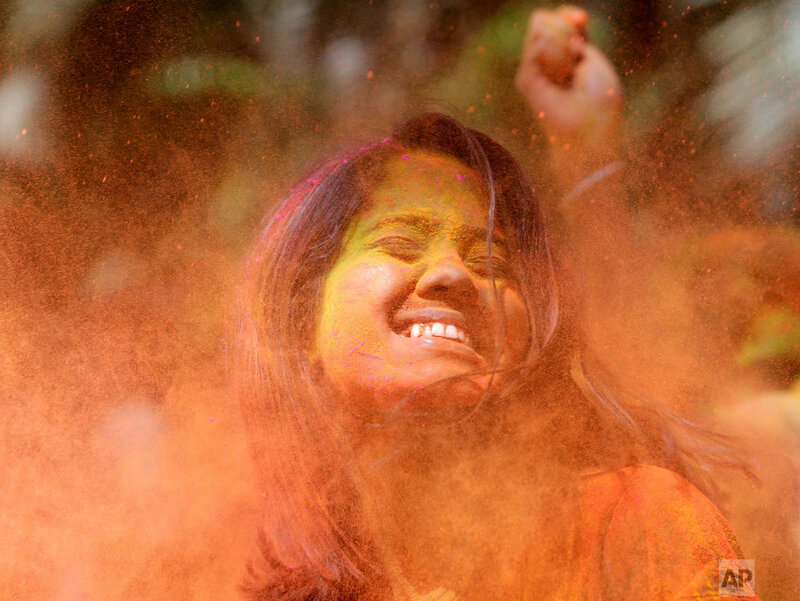 Hindus comprise nearly 80 percent of India's 1.3 billion people, but Holi is not just a Hindu festival. 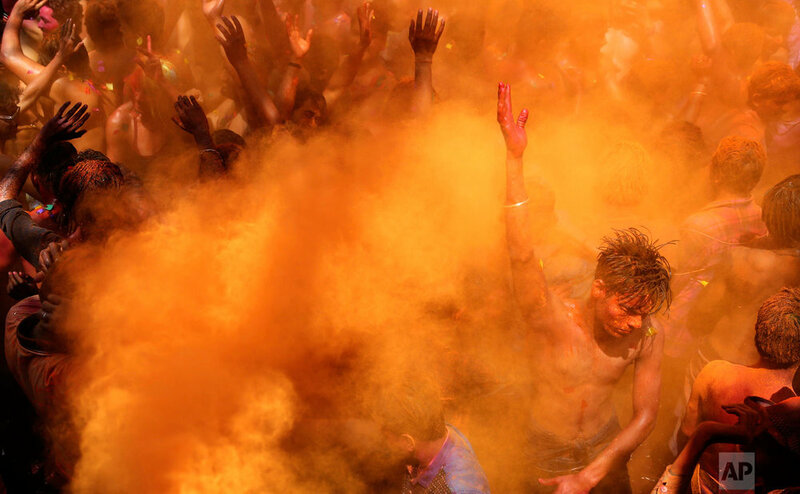 The streets and lanes across most of India are like meeting places, where people of all faiths douse each other with powder and water of every hue. The festival also has an unsavory side. The drinking begins as early as noon _ alcohol, as well as the cannabis-based drink bhang. With it comes drunken driving and trouble in the streets. Many women complain of teasing and groping amid the crowds. 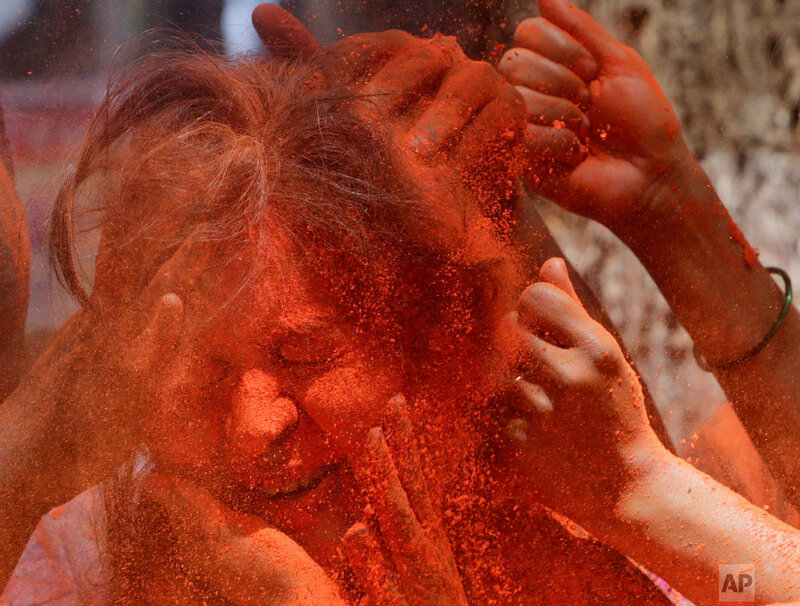 See these photos on AP Images.